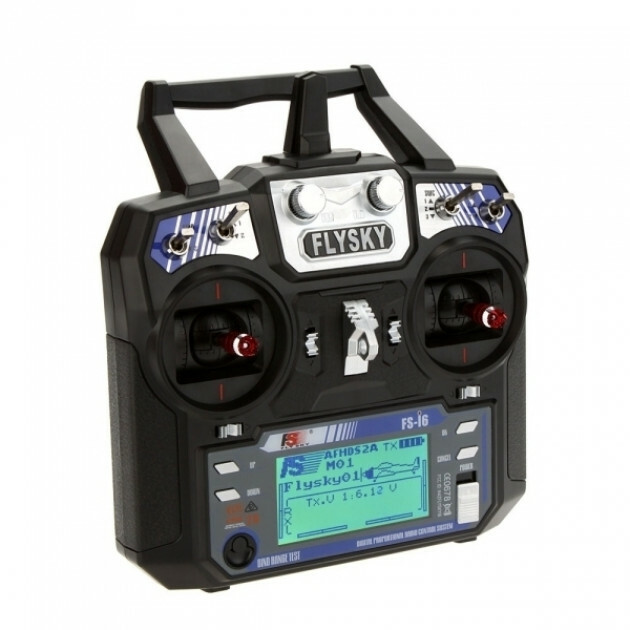 The FlySky FS-i6 basic RC set is an economic solution for beginners, that still provides good set of features, telemetry and broad programming capabilities. For a very reasonable price you get a programmable RC set with basic telemetry, more than sufficient for hobby flying. The set includes iA6 receiver that supports PWM, PPM and iBUS output formats. The smaller size factor is excellent for child's hand. It is available in both Mode 1 (right hand throttle) and Mode 2 (left hand throttle), with easy way to select Modes 3 and 4 directly in the transmitter. The transmitter can be easily upgraded to a different, open source firmware featuring 10 channels and some other improvements.